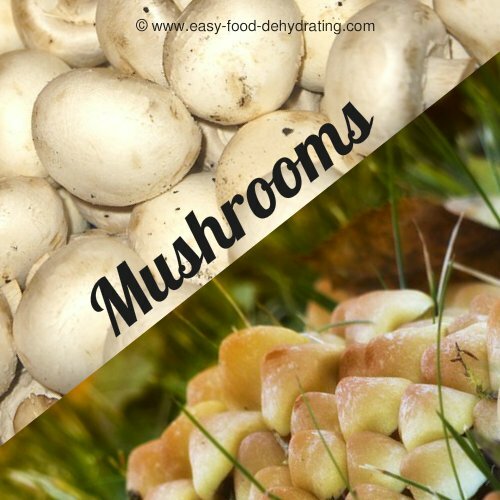 Dehydrating Mushrooms - Great in Omelets, Soups! For Tasty Omelets, Soups, and Pizza! 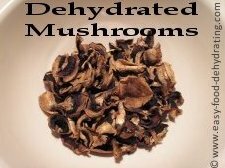 Special care is needed when dehydrating mushrooms; don't wash them first as that will make them too wet ... and they are dehydrated on 2 different temperature settings, see #3 in the instructions, below. 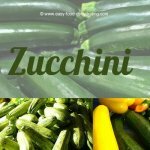 They are used in many recipes: Soups, and added to Stews, Omelets, and as Pizza toppings! We're Dehydrating Mushrooms—Full of Minerals and Vitamins! Mushrooms contain vitamin D, vitamin C, Choline, Folate, Betaine, and Niacin, followed by trace amounts of Pantothenic Acid, Riboflavin, Thiamin, and vitamin B6. In the mineral department, they are a good source of Potassium, Phosphorus, followed by Magnesium and Calcium and also contain trace amounts of Iron, Zinc, Copper, and Selenium too. They also contain Omega-6 fatty acids. Wikipedia has general info. on mushrooms; learn how to identify them! 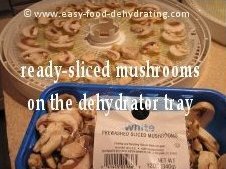 Let's get started with dehydrating mushrooms. Buy them pre-sliced for convenience. If you're using whole ones, gently wipe them with a clean damp cloth first to clean them. That's all you need to do. If whole, slice from the cap top down through the stem, into 3/8" slices. Arrange your slices on your food dehydrator trays, making sure the slices don't overlap. and 95°F for Nesco dehydrators - for two to three hours THEN set the temperature to 125°F and dry for the remaining time. They will be leathery when fully dried. Drying time: 3 hours at low temperature, then up to 10 hours on higher temperature. Please remember to rotate your trays for even drying. Test for excess moisture by squeezing the slices. Where's the beef? 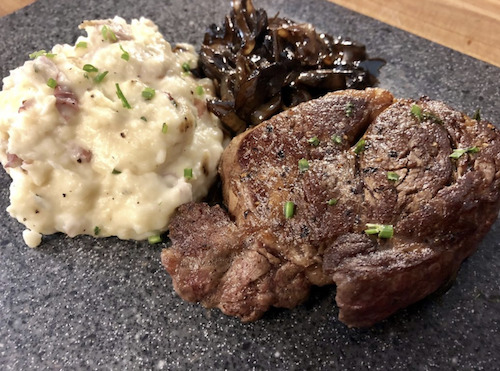 It's right here - in this wonderful Filet Mignon recipe! Prep time is only 30 mins, with a cooking time of 45 minutes. I'd say well worth the time and effort to impress your better half! Click here to be taken to this recipe. Full color step-by-step instructions are included.